Photo courtesy of astoller at Flickr Creative Commons. March 8th is special for two reasons: it’s International Women’s Day and it’s the Day Without a Woman protest. 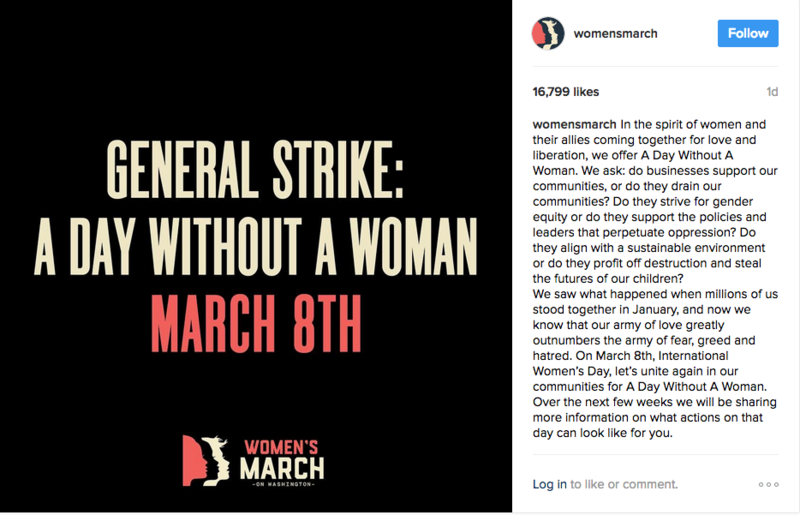 The same women who organized the Women’s March on Washington are also organizing the Day Without a Woman protest. Researchers estimate that the Women’s March on Washington attracted an astounding 3-4 million participants. So judging by these standards, the Day Without a Woman protest should have a big turnout as well. The protest in and of itself is actually more of a strike. Women of all ages and ethnicities are encouraged to take a day off from their daily responsibilities. No work. No school. No cooking. No cleaning. No shopping. The goal is to illustrate how much women contribute to society by showing the world what it’s like not to have them. Organizers are hoping that it will result in a lot more respect and admiration for the work that women perform. The protest was announced on February 14 via Instagram. Some activists are concerned that the protest isn’t very inclusive, given that low-income women often can’t afford to take a day off of work. Others worry that the end goal isn’t exactly clear. Sure, it would be neat to show how much women contribute to society, but how exactly is that going to lower the amount of domestic violence cases and incidents of sexual harassment? How exactly is that going to dissuade the U.S. government from overturning Roe v. Wade? Then there’s the issue of the protest not being very inclusive towards men. 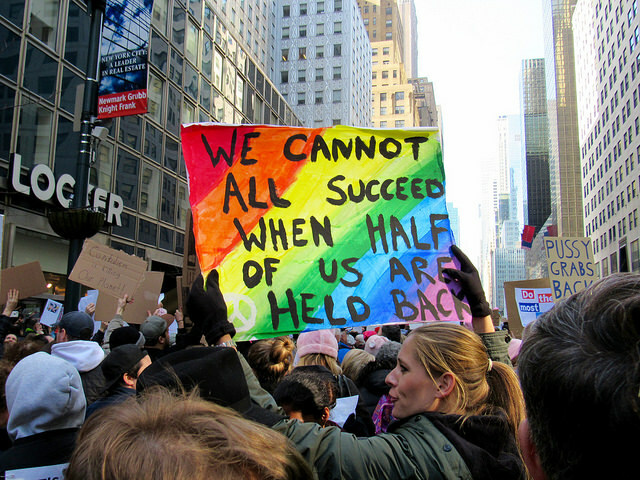 The Women’s March was welcoming to people of all genders. However, this protest appears to be marketed almost exclusively to women. Men are important allies, and by cutting them out of the picture, the Women’s March runs the risk of alienating them. Because of these reasons, the Day Without a Woman protest may not be as successful as the Women’s March. However, it’s still a sign that women around the world are rising.